but I am giving a hardcover copy of the book away today! Edgar® and Agatha Nominated author Victoria Thompson writes the Gaslight Mystery Series, set in turn-of-the-century New York City and featuring midwife Sarah Brandt. She also contributed to the award-winning writing textbook MANY GENRES/ONE CRAFT . 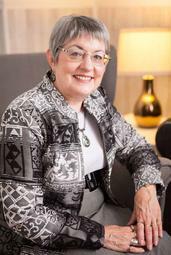 Victoria teaches in the Seton Hill University master’s program in writing popular fiction. She lives in Indiana with her husband and a very spoiled little dog. Love historical books and love mysteries. This sounds like the best of both worlds and a book that I would love to have the opportunity to read. 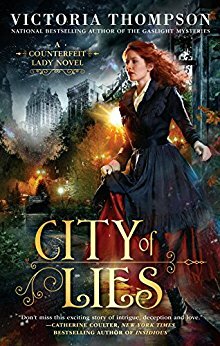 Thanks for this amazing chance to win a hardback copy of “City of Lies” and so early in the game too. Oh, this book (now series) has been on my radar since it first came out! It sounds really good.